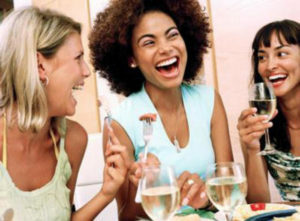 IS THERE LITTLE COMMUNICATIN IN YOUR ROMANTIC RELATIONSHIP? When Women Become Insecure About Male/Female Roles. It had taken Toni two hours to put herself together for the reunion with Caroline and Lana, two women who had meant so much to her in the past. Until a week ago she hadn’t seen or heard from either one of them for sixteen years. At first, they had occasionally phoned then e-mailed, and after all communication stopped, they lost track of what everyone was up to. Studying herself in the mirror, Toni hoped she gave the appearance of success, confidence and a woman who had arrived. In the last year an urge to meet up with the old friends had become progressively stronger until Toni got their new e-mail addresses through old friends and made the arrangements. They all decided to wait until they met to play catch-up. She wanted to show her mentors how far she had come from being an administrative assistant, a euphemism for secretary, at Scarducci, Adden and Drugers. The law firm had hired her straight out of high school. Caroline and Lana were newly graduated young lawyers at the same firm who, unlike Toni, had grown up privileged. Although Caroline and Lana had treated her well, Toni felt that she didn’t measure up to them because she couldn’t afford to go to college. She always felt on the rim of their friendship. Despite having been invited to both their homes on a couple of occasions, in her perception, she never entered the inner circle of their lives. Looking back, she knew that feeling opaque in their presence was because of her own insecurities. Yet, undeniably, knowing them had been a life-changing experience. She could now present herself as a person of substance. My mother is dying. There are shuffling noises overhead coming from her bedroom. She has cancer, and her death is imminent. I am her only child. We never liked each other. I stare out the window at my large backyard covered in a crust of ice. The bird feeder is nearly empty. I know I must replenish it, but I can’t command my body to move. 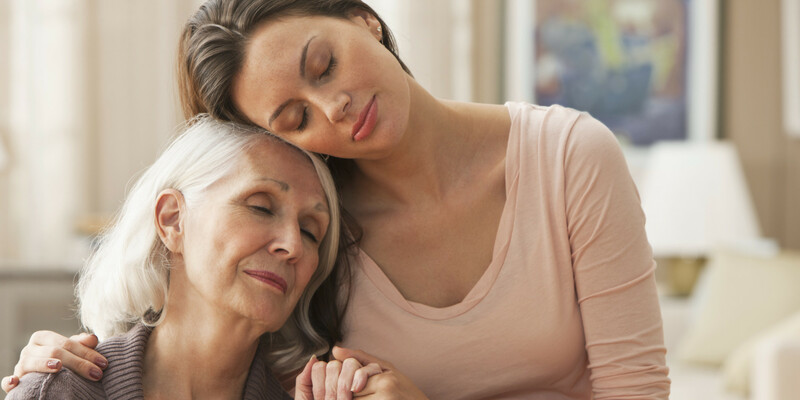 Before my seventy year-old mother moved in, I thought I’d continue working and hire a nurse to care for her. I wavered. In the back of my head I wondered if we might find an emotional connection before it was too late. In the end, I convinced the senior partners’ at my law firm that it would be better to work at home for a while and take care of her myself. Now I see my wish to wring more from our relationship as foolhardy. It’s elusive, like an important thought I can’t recall that hovers in the back of my mind. Now I just want to get through this miserable time and have it end. I’m so tired my teeth ache. Subscribe to our Short Story Series and Articles! Would you move a dead body for the sake of your best friend? 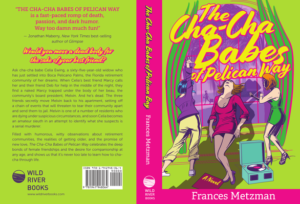 residents who are dying under suspicious circumstances; and soon Celia becomes an amateur sleuth in an attempt to identify what she suspects is a serial murderer. 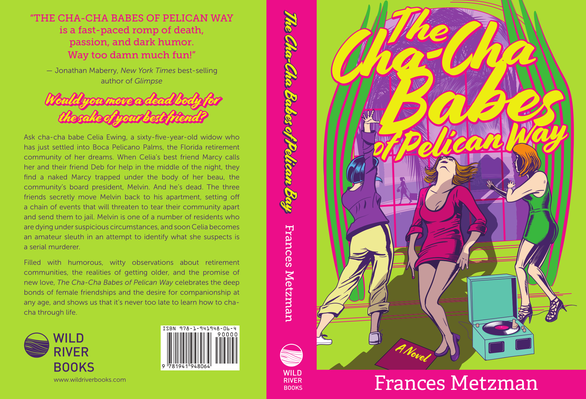 Meanwhile, Celia’s 32-year- old daughter, Allison, leaves her philandering husband, moves in with Celia, and begins working at Well Services, the HMO that serves the residents of Boca Pelicano Palms. Celia gains self-confidence and finds love as she tries to solve the complex crime that has also ensnared her daughter and her friends. 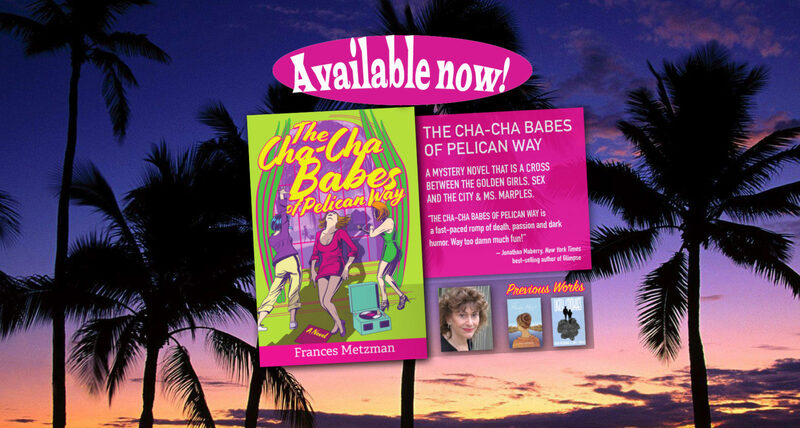 Filled with humorous, witty observations about retirement communities, the realities of getting older, and the promise of new love, the Cha-Cha Babes of Pelican Way celebrates the deep bonds of female friendships, the desire for companionship at any age, and shows us that it’s never too late to learn how to cha-cha through life. Gerri George on Dinner with the Mob.